When you purchase a new appliance from RC Willey, our delivery truck drivers will haul out your old appliance free of charge. 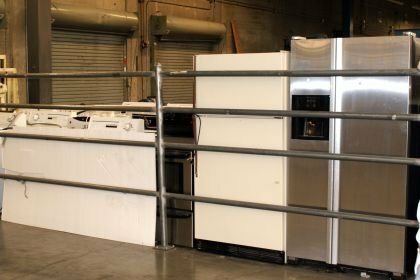 Instead of taking it to the dump, we take your used appliances to our Inter-Mountain Distribution Center. There, the freon (gas in fridges), copper, and scrap metal are all recycled. We pick up about 117 old appliances to recycle a day! That's about 700 a week, and 2,800 a month! In our warehouses and corporate offices, we've switched out all of our florescent lights and replaced them with more efficient alternative bulbs. As a retailer of home furnishings, RC Willey looks for furniture brands that are committed to the responsible sourcing of forest products. Our long-term intention is to buy from furniture brands that publish certifiable standards for sustainable sourcing and use of recycled materials. RC Willey is committed to doing our part to protect the world’s forests. As a retailer of home furnishings, RC Willey looks for furniture brands that are committed to the responsible sourcing of forest products. RC Willey’s long-term intention is to buy whenever possible from furniture brands that adhere to independent standards for sustainable sourcing and use recycled/reclaimed materials. We recognize the Forest Stewardship Council (FSC) as an important tool to promote responsible forest management and have a preference for sourcing FSC-certified wood furniture as it becomes available. With the 5,500 pieces of new inventory that are delivered to our main warehouse every day, we end up getting a lot of garbage (boxes, packaging materials, etc). 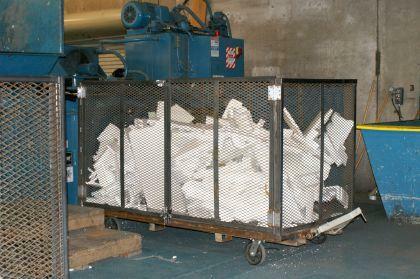 RC Willey has big balers that recycle plastic, styrofoam, and cardboard. If trash doesn't fit into one of these three recycle bins, it's taken to the dump. A few years ago before we started using the recycling bins, we had to make 4 trips to the dump per day. Now, thanks to the fact that we've gone green, only 2 trips are made to the dump per week! We have motion sensor lights in all of the aisles at our IDC Warehouse. Each aisle consists of three sections. If there is 10 minutes of inactivity in a section, the lights switch off. This cuts down on energy usage a whole lot. RC Willey ads are printed on lighter basis weight papers produced using less fiber, fewer chemicals and less energy in the manufacturing process. We also have a recycling paper program at our corporate offices. 17 trees are saved with every ton of paper shredded or recycled! That adds up! RC Willey will help you "go green" when buying your home appliances. Energy Star is a joint program of the U.S. Environmental Protection Agency and the U.S. Department of Energy, designed to help us all save money and to protect the environment by using energy efficient products. RC Willey provides the largest selection of Energy Star Products around. 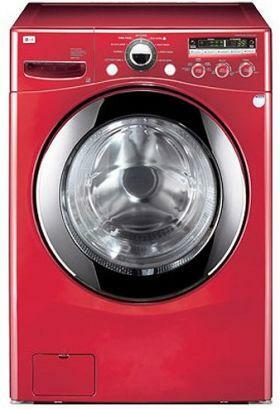 Check out our Energy Star washers, refrigerators, dishwashers and gas water heaters!